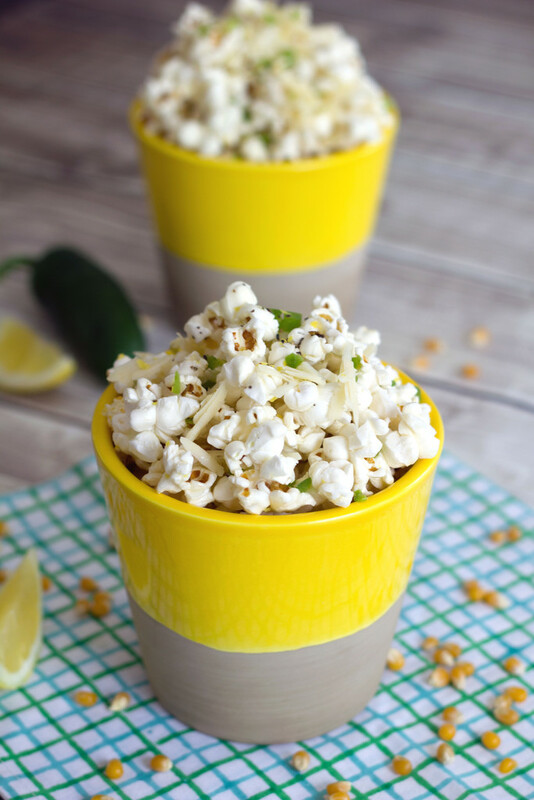 This quick and simple recipe for Jalapeño Lemon Parmesan Popcorn will have you wishing your movie night would never end! I know this sounds weird, but my dog seriously loves watching dogs on TV. She’ll sit quietly on the couch until she spots a dog and will then jump up, run to the television, and start happy barking at the dog. She even notices random flashes of dogs in commercials and goes wild. And cartoon dogs. It blows my mind. Needless to say, she loved watching Best in Show the other night, though it had her jumping up every 5 seconds. I’m such a crazy dog person at this point that I legitimately channel surf just to find dog shows for her. Who am I and how is this my life? But sadly for Winnie, there are certain shows I won’t give up for “dog shows.” Like um, The Bachelor. She has to sit through all three hours of it every week without complaint. And there are rarely any dogs on that show. Also sad for Winnie is that she doesn’t get to partake in any of my television watching snacking rituals. She can have a couple of her own treats (not that she should complain… Have you seen the treats they make for dogs these days?? She legit has bacon, egg, and cheese treats! ), but needs to keep her paws off my popcorn. Though knowing her, she would actually like the jalapeño flavor… And definitely the parmesan cheese. I know plain popcorn is healthiest, but I’m not a plain kind of person… I need some jazz with my popcorn. 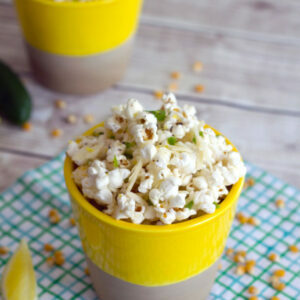 This recipe for Jalapeño Lemon Parmesan Popcorn has it. Buttery jalapeños, parmesan cheese, and lemon zest. It doesn’t take too much longer to make than a standard batch of popcorn and the flavor is worth every additional second. 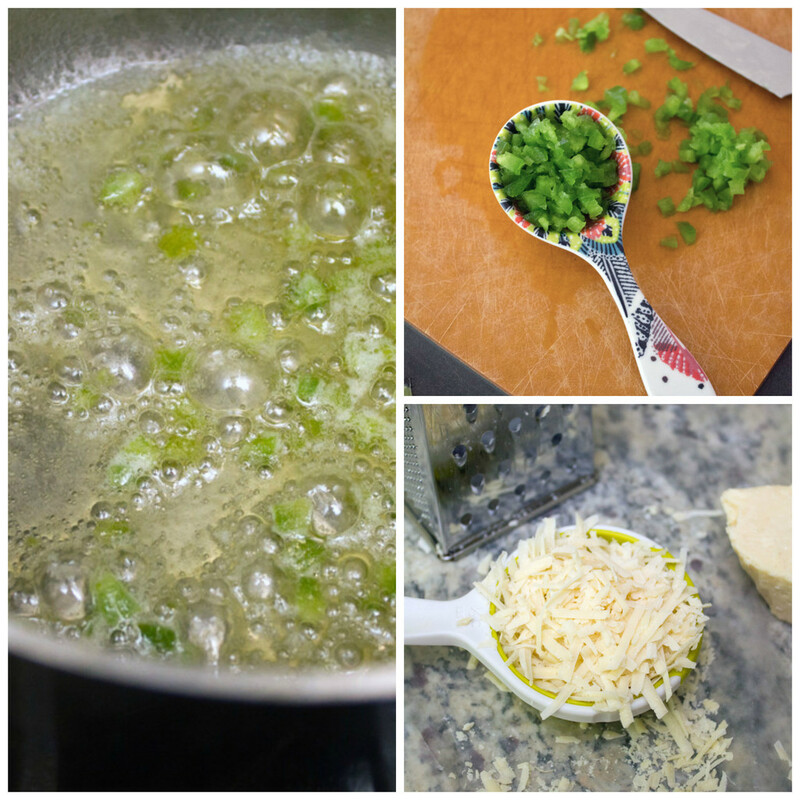 Jalapeño sautéd in butter… Does it actually get better than that? I don’t really understand the people who can whip up a batch of plain popcorn and be satisfied with it. Make these few tweaks and I promise your popcorn won’t bore you to death. Yes, it requires eating some butter, but we’re OK with that, RIGHT? It’s jalapeño butter, which is exponentially better than the already delicious butter. It gives the popcorn a little kick, but more of a deep jalapeño flavor since some of the heat burns off while it’s sautéing. Yes, I served this snack in little mini planters I got from the Crate and Barrel outlet. I think I’d rather have popcorn “growing” out of my flower pots than actual flowers. I guess that’s the way to my heart. The only problem with eating this during The Bachelor is that The Bachelor lasts three hours… Which means you will be consuming a whole lot of popcorn. Don’t say I didn’t warn you. Three hours of Bachelor watching and popcorn eating sounds like the perfect evening to me. 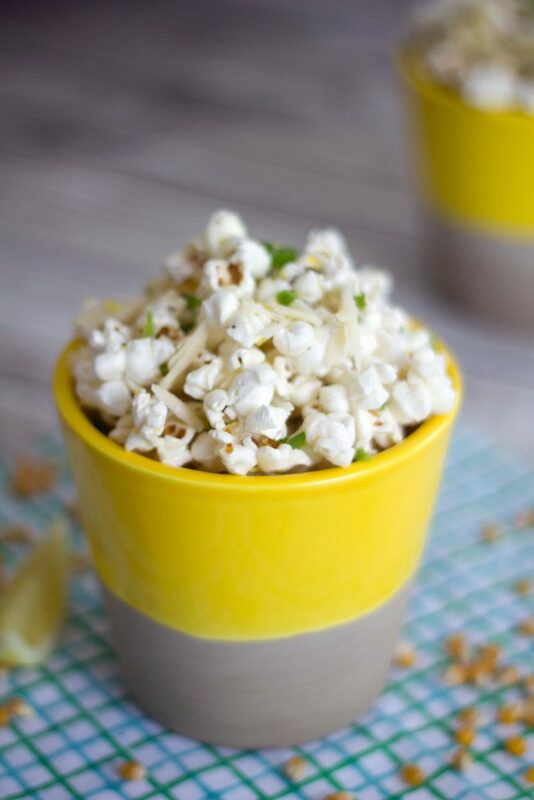 I almost always put parmesan cheese on my popcorn, but don’t think I’ve ever added lemon zest before. It’s definitely going to happen many more times in the future. One reason I’m a huge fan of this recipe is that it reminds me of spring. And given that I barely remember what spring is, this is coming at a welcome time. Though to be honest, I shouldn’t be complaining as it was 48 degrees in Boston today. And is expected to be in the 50s next week. I’ll stop talking about the weather now because a) talking about the weather is boring and b) I’m sure I’ll jinx it like last year and instead of being in the 50s next week, we’ll get 10 blizzards. But you have to admit that blizzards make for some mighty good popcorn eating. How do you make your popcorn? It’s been so long since I made popcorn from a bag. The other night, Chris wanted popcorn and said, “ugh, we don’t have any bags of it? ?” I got really excited to show him how ridiculously easy stovetop popcorn is. Sure, you dirty a pot, but just one and it’s not very difficult to clean. And in my mind, it tastes so much better. An air popper is probably the one kitchen appliance I don’t have (really… I have way too many kitchen appliances), but I imagine it’s the same. Do I need an air popper? Please tell me I don’t. My kitchen is full and my basement is a disorganized mess. So, I mean, I can see why Winnie is totally jealous she’s not invited to partake in popcorn eating. She’d go to town on this. Put on a little “Lucky Dog” (her favorite show!) and serve her a dish full of Jalapeño Lemon Parmesan Popcorn and she’d be in doggy bliss. But I’m not sharing. Sorry, Winnie, learn how to make your own! Why are you eating your popcorn plain? 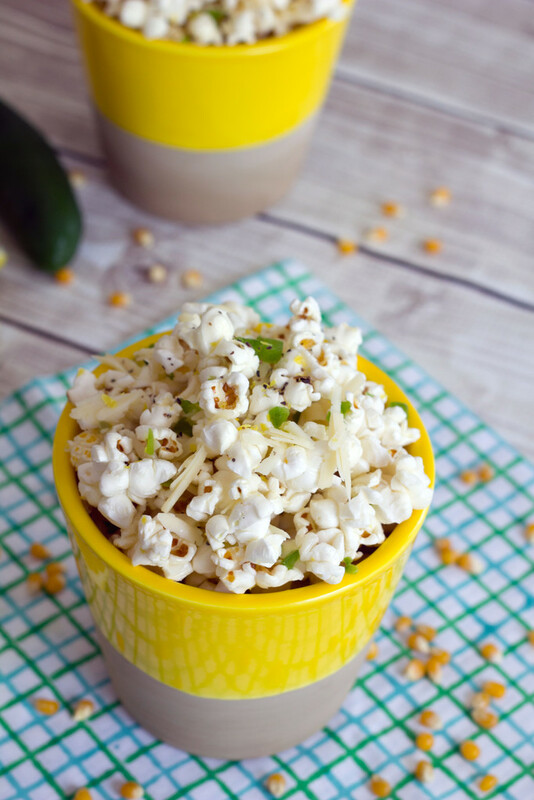 This recipe for the perfect Jalapeño Lemon Parmesan Popcorn will be hard to put down! Melt butter in a small saucepan over medium heat and add diced jalapeño. Sauté jalapeño in butter for about 5 minutes, stirring occasionally, to soften. Remove to separate bowl. Heat coconut oil and 3 popcorn kernels in a large saucepan over medium heat. When the kernels begin to pop, pour the rest of the kernels into the pot. Cover the pot and continue to cook for about 6-7 minutes, occasionally shaking the pan to keep the kernels moving. When the popping slows, move pot from heat and let stand for another minute. 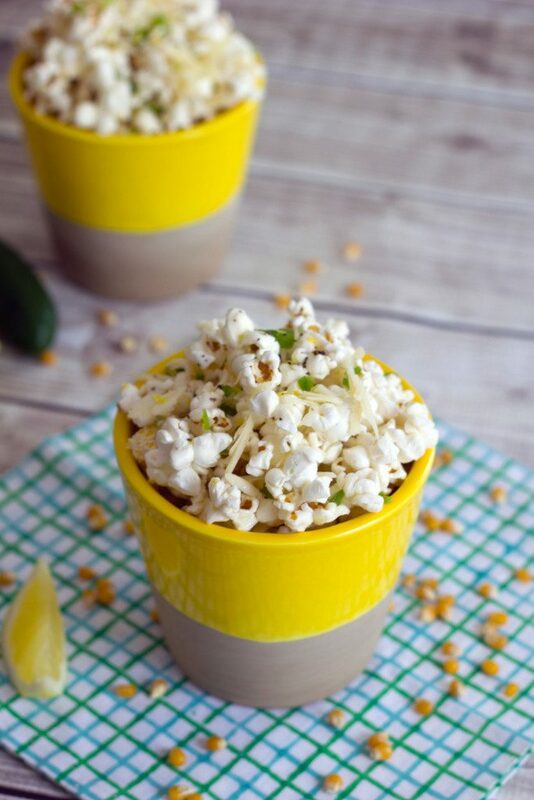 Put popcorn in a large bowl and toss with jalapeño butter, lemon zest, grated parmesan, and freshly ground black pepper. 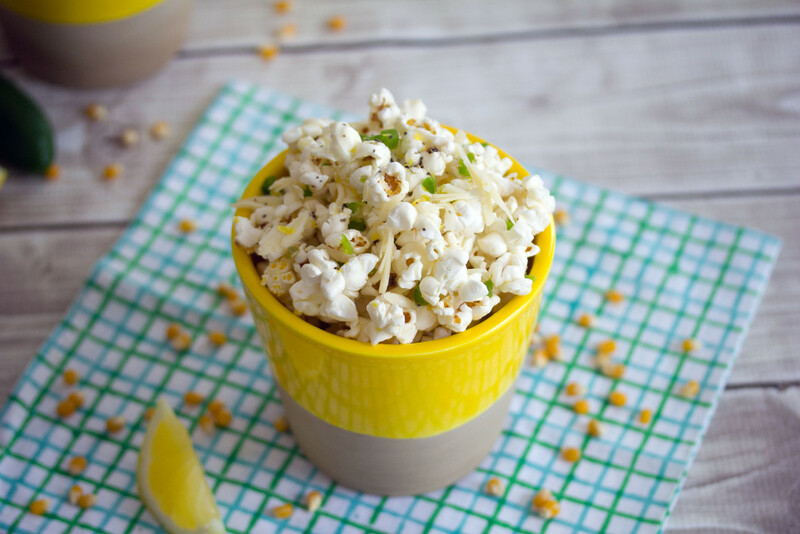 12 Responses to "Jalapeño Lemon Parmesan Popcorn"
Well, you elevated popcorn to a whole new level with all these delicious ingredients! Aaaw so cute! 🙂 Popcorn sounds like the best snack to munch on while watching the Bachelor! Love the jalapeno lemon combo! That is SO cute that your dogs runs to the TV! This popcorn looks so good! 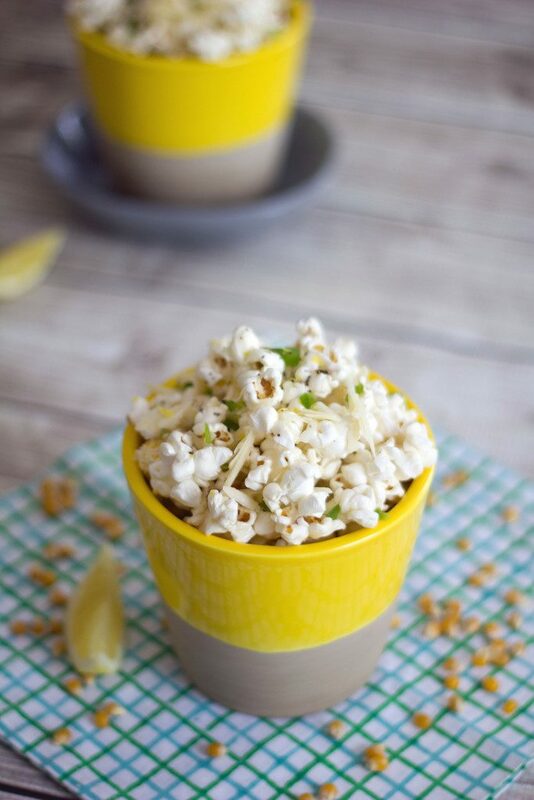 I’m a sucker for any type of seasoned popcorn, so I know I would devour this in no time! Fun TV watching recipe! Love that photo of your dog watching TV! No popcorn for her, though. My oldest dog, who passed away last year, was obsessed with watching other dogs on TV too! My youngest fur child doesn’t give two hoots though. lol. But I am totally a crazy dog lady, so I completely understand!! I also happen to be a popcorn-oholic! Like, I eat it at least 4 times a week, and most of the time for lunch or dinner. I am LOVING this jalapeno lemon parmesan popcorn! Spicy, cheesy, a touch acidic and total perfection! GIMMMMEEEEEE! 🙂 Cheers, my dear! 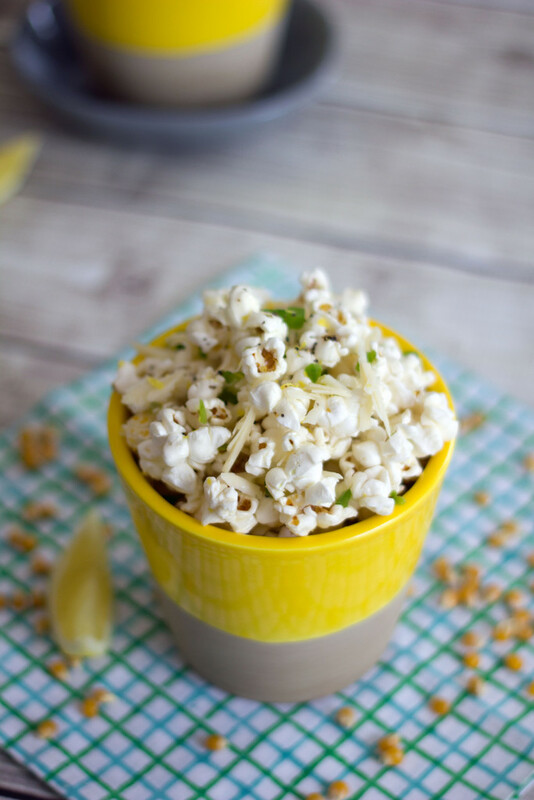 I have been eating popcorn every other night of the week lately, and i’m always searching for new recipes. This one looks like a winner to me! oh yum! i have a whirly pop and make popcorn alll the time! but i usually just add butter, salt, and pepper. this sounds like a tasty twist! Seriously – all my favorite ingredients in one!!! I’m definitely Pinning this recipe. I adore popcorn, but get bored with the same old varieties. And I love me some spice! 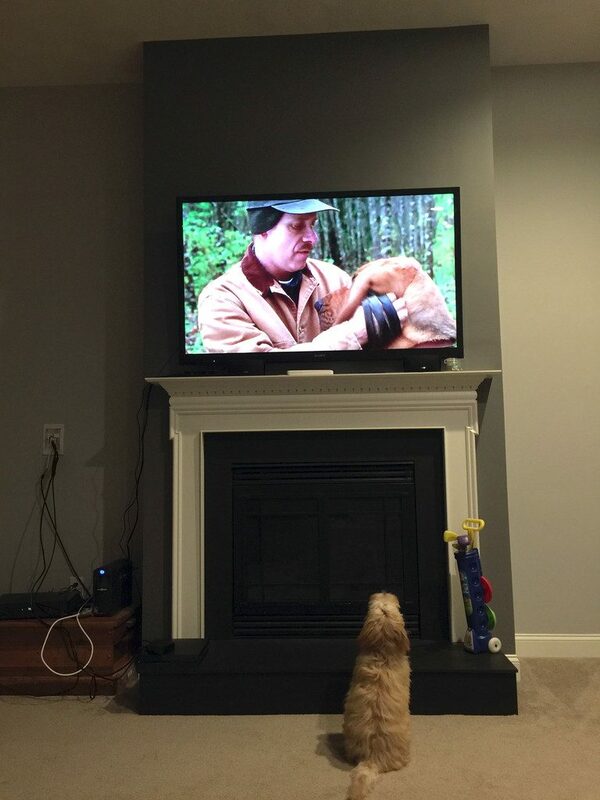 My one dog does the same thing with animals on TV. I love Parmesan on my popcorn and usually use bacon fat instead of butter ?